Babolat Pure Aero is an incredibly popular tennis racquet. It features an upgraded aerodynamic beam and a higher swing weight, both of which features give the racquet the power to pulverize the ball. However, people have also been wondering if the company would add a heavy weight alternative to the Aero line, and Babolat Pure Aero Tour is the company’s answer. As the heaviest model in the Aero line, Babolat Pure Aero Tour offers enhanced stability and plow through. So, how do Babolat Pure Aero vs Tour racquets compare against each other? 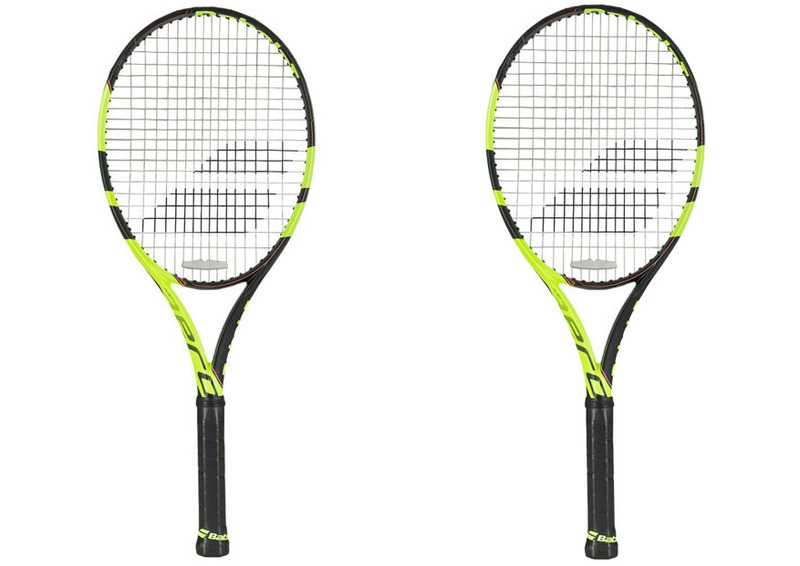 Which racquet is better for you? Babolat Pure Aero is loaded with massive power and spin, and that’s why this particular model can help players take their service plays to the next level – see our previous post about Babolat Aero Pro Drive vs Pure Aero. The power is explosive, yet with good control, allowing you to serve with increased confidence. The massive spin potential will make it very hard for the opponent to return. You can add pace to the ball without compromising the accuracy, allowing you to dial the ball to tricky spots and corners. For returns, though, it comes down to your personal preference. This racquet is fast and solid, thanks to the light body. If you prefer a lightweight and fast racquet for returns, that’s great. However, some people may prefer a slightly heavier racquet which can bring more stability and plow through. If you are one of these people, you will find that Babolat Pure Aero is lacking some control and consistency in returns. Babolat Pure Aero Tour should be your choice if you prefer a heavy racquet. Aggressive servers should have little problem to get this racquet moving fast. This racquet also has lots of spin potential, but keep in mind that this racquet is noticeably heavier. Nevertheless, the added weight brings more stability and plow through to this racquet. In general, its performance on returns is better and more consistent. Between Babolat Pure Aerovs Tour, the latter model scores better in terms on groundstrokes and volleys, but only if you are comfortable with the weight. If you prefer a lightweight racquet, Babolat Pure Aero is better. Babolat Pure Aero is a great choice for trading groundstrokes, as it provides easy access to spin and power. The hit is quite dampened and the comfort is improved, as the stringbed tends to pocket the ball more. Thanks to the excellent depth and pace, you will find it very easy to transition from defense to offense. The sweetspot is quite wide and open; you can make volleys easily and conveniently. This racquet offers the point-and-shoot accuracy at the net. On the other hand, Babolat Pure Aero Tour offers an incredibly fast whippy feel, which makes it an excellent choice for players who prefer a heavy racquet but don’t want to sacrifice spin and pace. The response is generally solid and consistent. However, if you usually play a flatter game, you may find it a little bit too stiff and lacking consistency. For volleys, the added weight greatly increases the power and performance of this racquet. Babolat Pure Aero Tour is generally more recommended, especially for players who prefer a heavy racquet. It can deliver great serves and returns. It is also great for groundstrokes, thanks to the fast and whippy feel. However, if you prefer a lightweight racquet or if you tend to play a flatter game, Babolat Pure Aero would suit you better.